Love should always be unconditional, not bound by any norms or regulations. It lies beyond any sexual orientation or any race. Love is always pure, and selfless. You don’t think and reason before falling in love. It just happens. So, if a 20-year girl falls in love with a 40-year-old man, it happens. If a married woman falls in love with another man, it happens. But if a woman falls in love with a wall? Well, that doesn’t happen. That is where our rainbow oozing love smitten brain doesn’t think it’s normal. Well, I’m not judging anyone here, but after reading this list of people who got married to weird things (both living and non-living), you might need to rethink some of those love laws you live by. 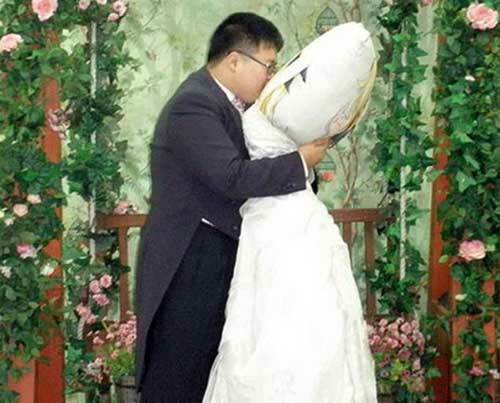 Liu Ye of China decided to marry himself rather than staying single. 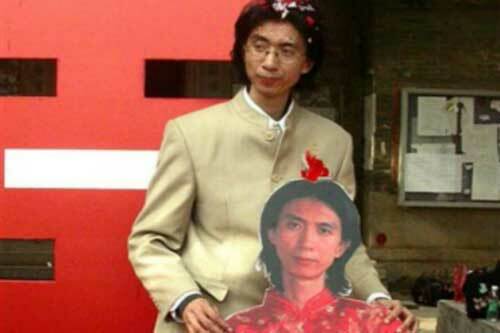 So, he tied the knot with a cardboard cutout of himself wearing a lovely red dress. Narcissistic much? 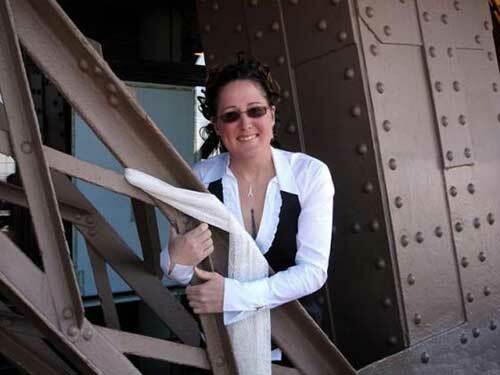 Erika La Tour Eiffel, who is married to Eiffel Tower has been in love with objects before. Her first love, a bow, helped her to become a world class archer. She also claims to have a physical relationship with a piece of fence she keeps in her bedroom. But, Eiffel Tower is her true love ans she has changed her name legally to reflect that bond. 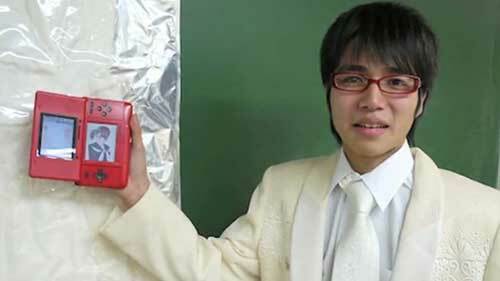 He married Nene Anegasaki from the Nintendo DS video game “Love Plus,” a virtual dating game. 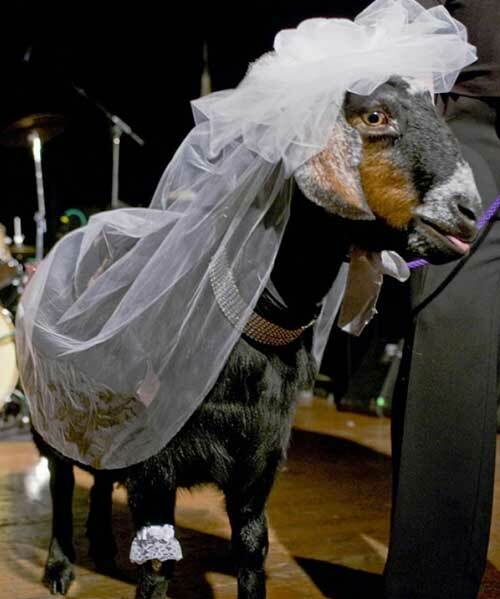 He had his ceremony in Guam, where it’s legal to marry inanimate and imaginary objects. She has been diagnosed with a condition called Objectum-Sexuality, and she fell for the wall when she saw it on television at the age of 7. Since then, she had been collecting ‘his’ pictures and on one of her trips, she tied the knot. Her full name is Eija-Riitta Berliner-Mauer, and her surname means Berlin Wall in German. The pillow has a girl’s picture on it and is called ‘dakimakura’, which is a large huggable pillow from Japan. The pillow also wore a dress for the wedding. Diagnosed with Asperger syndrome, she has been in a relationship with various buildings and objects like Twin Towers, a church organ etc. 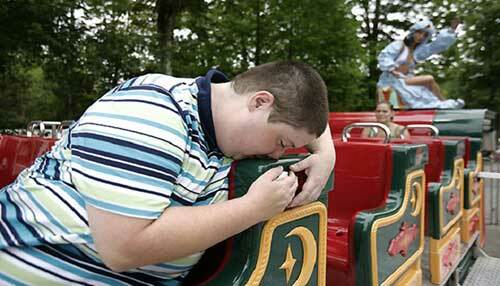 But her one true love is a fairground ride called 1001 Nacht, located at Knoebels, an amusement park in Pennsylvania. What she claims to be a love at first sight, started 15 years before the wedding. 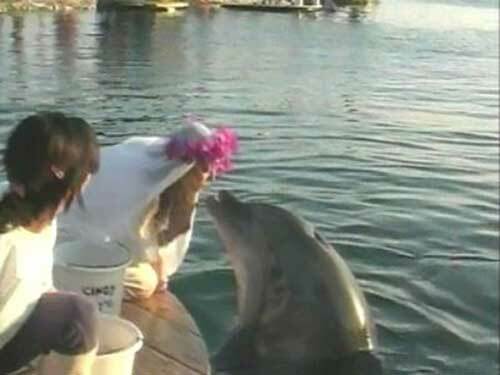 She sealed the deal with a kiss and the gift of a herring in a sweet ceremony in Isreal. 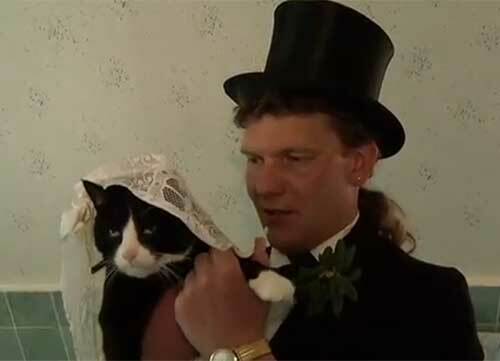 When a veterinarian told him that his cat was terminally ill, this man decided to marry his pet. Although, no German officials agreed to perform the wedding, an actress officiated the ceremony to fulfil his dream. “She provides me with a lot of things that I can’t get out of an organic partner, like… quiet,” he said as an explanation for marrying his doll. 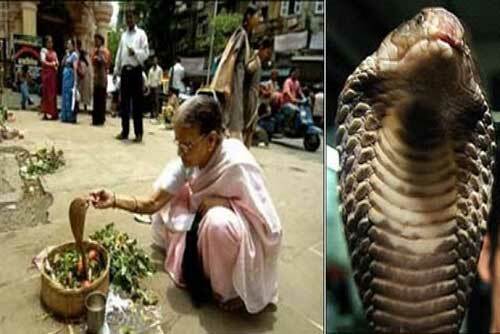 She claimed that she had fallen in love with the snake and then got married in accordance with Hindu marriage rituals. The wedding was attended by more than 2000 people thinking it would bring good luck. But guess who didn’t show up? That’s right. The snake! But it was represented by a brass statue. This one is a little twisted. In Sudan, there is a law that dictates that if a man is caught sleeping with a woman, he must marry her to keep the honour of her family. So, in 2006, when Charles Tombe was caught physically assaulting a goat, guess what happened? He even had to pay a dowry to its owner. Hope you found these interesting.